While the American bald Eagle is the national bird of the United States the American Silver Eagle is actually the official silver bullion coin of the country. The minting of silver eagles began back in 1986 and each coin contained exactly one ounce of pure silver. The minting of these coins continues until today. America had only begun minting silver eagle coins because it felt threatened by other foreign countries that had already began minting gold and silver coins. This special silver eagle coin which was started in competition to the coins of the time has become the world’s most popular bullion and proof coins. 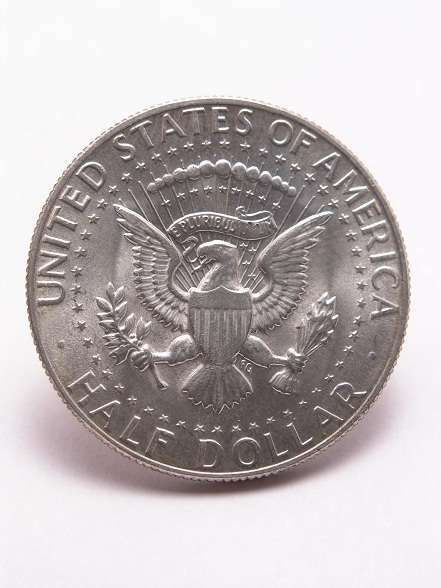 The minting of American silver eagle coins takes place to exacting specifications and their weight, quality and content is guaranteed for by the US government. This is what makes them an excellent investment for both coin collectors as well as general investors. The American silver eagle has been offered in three different varieties by the US Mint. The first of these is the regular uncirculated bullion version which can be readily purchased from many coin dealers as well as authorized bullion dealers. The second category is of the specially developed collector’s proof version of the coin which can only be ordered from the US Mint directly. The latest in line of the silver eagle coins are the Burnished Silver Eagle coins which bear the W mint mark denoting that they have been minted in the West Point Mintage. These coins are struck on special burnished blanks. As such the American Silver Eagle is looked upon as the Modern Silver Dollar by collectors. Infatuated collectors actually collect entire series of the coins according to the dates. There are some dates that are very rare. For example one of the key coins that every collector longs for is the 1995 W Proof Silver Eagle. This coin was only available in the 1995 Gold Eagle Proof Sets. The US Mint had only printed a total of 30,125 of these coins. Another special date is the 2006 W Reverse Proof Silver Eagle which was only available in the 2006 20th anniversary Silver Eagle Set. The total number of these sets released in the market was 250,000. Amongst the latest sensations in the collection of silver eagle coins is the 2008 W Silver Eagle that has the Reverse of 2007. This is a very unique variety that was released in 2008 but the reverse of the coin was struck with the die type of the previous year. These coins can be distinguished by their bowl shaped U on the reverse side. The internet offers a great platform for individuals interested in American Silver Eagle coins to engage in sales and purchase transactions of these coins. There are a number of regulated agencies that deal in various dates of Silver American Eagles whereas you can always find the rare ones at online auction sites.